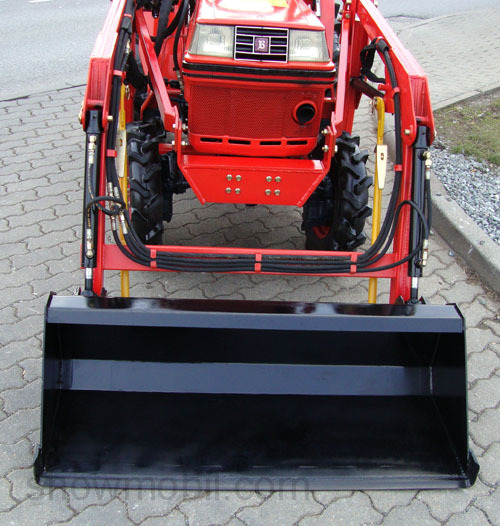 The front loader is CE approved and has all safety labels, nameplate and all other warnings. The front loader has a risk assessment or certificate of conformity as required according to the Machinery Directive 2006/42EG. 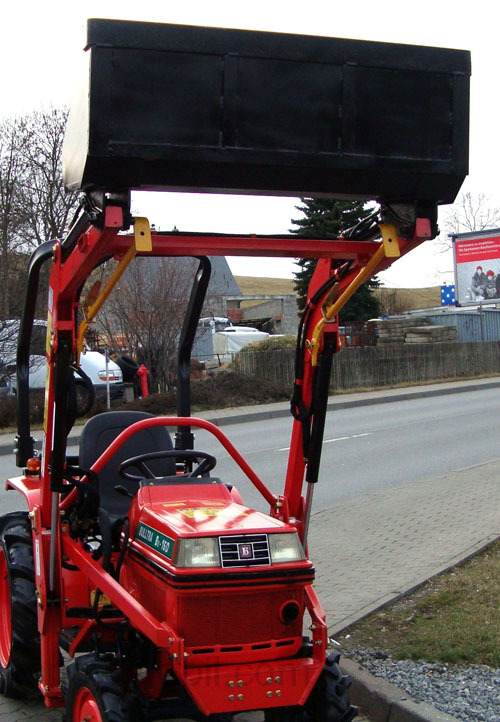 It corresponds to the special front loader standard DIN EN12525 agricultural machinery loaders security. 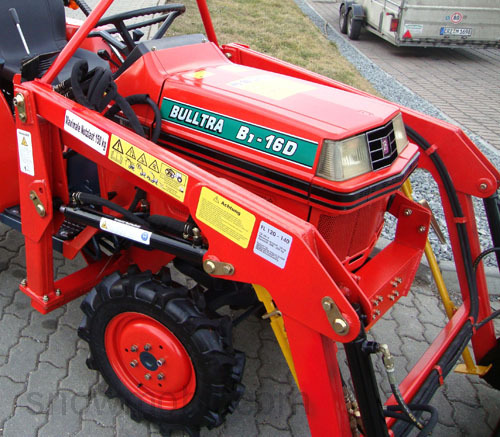 Our competitors sell untested front loaders, which were mostly manufactured in Asia. 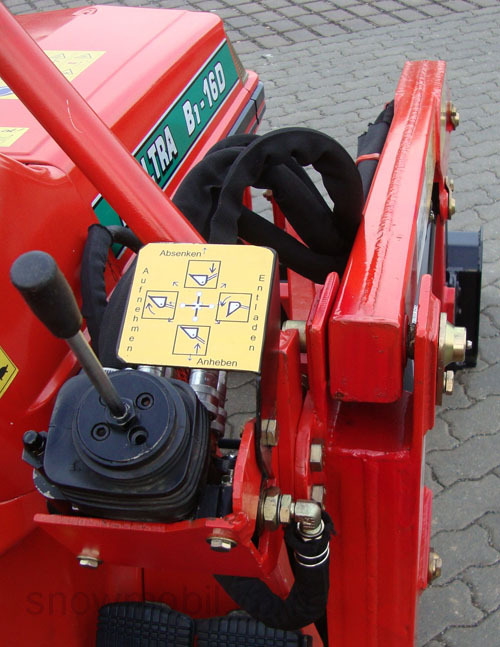 The connection to existing hydraulic pump of the tractor you must make yourself. 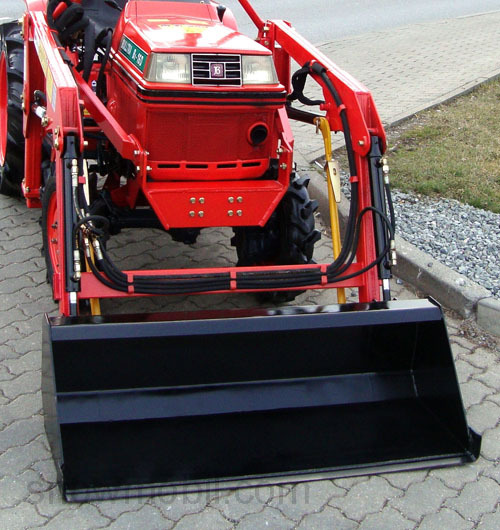 The blade width is adapted for each type of tractor. 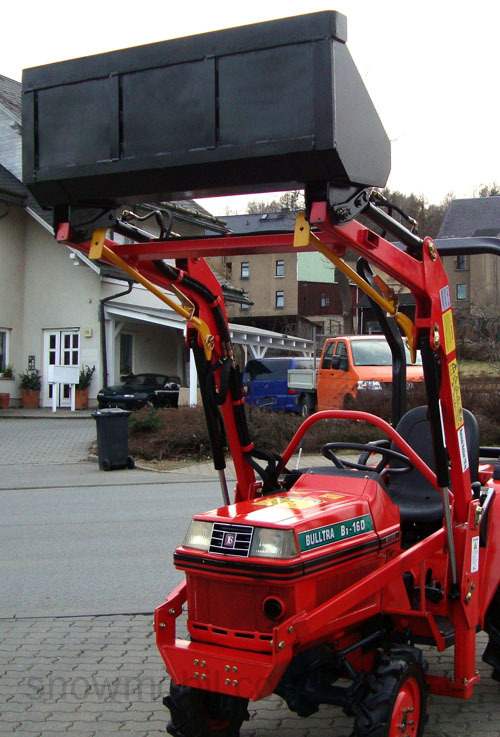 Here´s the front loader when mounted on a Kubota B1-16D.